OlympTrade is one of the most popular binary options brokers in Eastern Europe due to comfortable and simple trading platform, big amount of fresh analytical material and, what is more important, low minimum deposit ($10). Broker offers a hassle free way of earning money on binary options without any delays on their unique in-house developed trading platform, which at the same time guarantees high level of security of clients’ personal data and money. We decided to make an OlympTrade review as with FREE demo account and $10 as minimum deposit it is perfectly suitable for binary options beginners. Broker was founded in September 2014 when binary options were at their peak in the whole Europe. OlympTrade has its main office in Saint-Petersburg (Russia), but there is also a customer support and other management working from Cyprus. OlympTrade is owned by Smartex International Ltd, who has the full control over the brand and olymptrade.com website. Starting from 25th of February 2015 broker OlympTrade is regulated by Russian financial commission called CROFR, and from 22nd of February 2016 broker has officially became a member of FinaCom financial commission, which insures clients’ deposits for the amount of up to $10,000. You as a trader should be completely relaxed, as your money is 100% safe with OlympTrade. From the name “OlympTrade” it could be said that broker is trying to reach the “Olymp” of binary options, but relatively small budget and lack of marketing campaigns in Europe doesn’t make a very popular in the UK, but they are trying their best and thanks to great platform with a superb service they have all chances of reaching TOP of this industry. As we already said trading platform was completely developed in-house by broker programmers who have several years of experience in producing innovative solutions in the financial industry. The fact that OlympTrade didn’t want to use third-party trading platform makes them very flexible with updating the platform, addition of new indicators, analytical instruments etc. Also, this allows the broker to quickly fix any technical problems which may occur in the trading platform or add something new if a lot of traders need additional features. Trading platform is working in any browser which support Flash Player, but you could also use your smartphone or table to trade with OlympTrade. Broker has created separate applications for iOS and Android users, which is available through Apple Store and Google Play Market respectively. Stock quotes are provided by Currenex, who has partnership with more than 50 biggest bank in the world. Such partnership between Currenex and OlympTrade allows everyone to enjoy trading without any delays, as well as gives the opportunity to trade on the weekends with OTC assets. OlympTrade trading platform is very functional and allows each client to personalize their trading place. For example, you can choose between linear and candle graphs, you can select different expiration times (15 seconds, 1, 5 and 15 minutes), separate window is available for technical analysis and there are also 5 indicators (SMA, PARABOLIC, MACD, RSI and Stochastic). Apart from that, next to the main graph there is a “Social Trading” bar, which shows other traders preferences for a selected asset, so if more people are buying the asset you will see that green bar will be bigger than a red one. This bar is really useful for beginner traders who might use this help from other traders. Most of the assets have 80% profit, but if you open VIP account (deposit more than $2000) then profit will be increased to 90%. In order to open account with OlympTrade social media account, such as Facebook and Google+ could be used which fastens up the whole registration process. Standard registration requires your Full Name, phone number and an email. We suggest you to enter your real phone number as OlympTrade managers will never contact you to sell some kind of bonuses, but will reach you only in case of technical problems or if they want you to invite for a free webinar. When registering you will also need to select your currency which you won’t be able to change later. You can choose between euros, dollars or Russian roubles. After finishing the simple registration process you will be automatically redirected to the trading platform with 10,000 virtual on your demo-account. 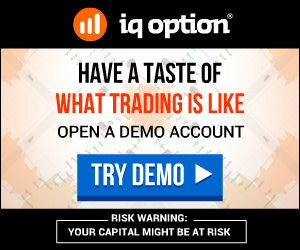 Using 10,000 you can familiarize yourself with the platform or test some of your trading strategies completely for free. If you want to open a real account, all you need to do is deposit at least 10$/10€ with the provided payment methods: VISA/Mastercard bank cards, Neteller or Skrill. According to OlympTrade policy you can withdraw money only to the same account you made your deposit from. So for example, if you deposit from Neteller you won’t be able to withdraw onto your bank card. Deposit is very quick and usually takes couple of minutes, whereas with withdrawal you might need to wait for 3-5 days, depending from the payment system. It is worth mentioning that all additional fees (commissions) for transaction are fully covered by the broker! OlympTrade offers very reasonable deposit bonuses thanks to good turnover volumes which will allow you to turn bonus into the real money. Turnover must be 25 times higher that deposit amount for you to withdraw bonus money. It is very reasonable considering most of the brokers require at least x50 turnover, and with such low minimum deposit it would be unreal for binary options beginners. Also, if you don’t have any trading experience then OlympTrade has a good amount of quality content available on their website and if you are Russian speaking then they have big academy, which has a database of courses, strategies and webinars. More than 75,000 traders used their academy so far, and hopefully they will soon translate all of this educational material into English as access is completely FREE. You can resolve all of your issues or get answer to your questions through OlympTrade customer support who work 24/7. Support team could be reached through online chat, email (help@olymptrade.com) or directly by calling +35722007136. Service quality is at very high standard due to terms and conditions of FinaCom commission part of which OlympTrade is. Customer support managers are very helpful and very polite and we have checked ourselves that it’s true. Hopefully our OlympTrade review was very helpful and we could only summarize that this broker is very beginners friendly which offers very high quality service in binary options industry. The only downside of the OlympTrade is that they offer only 13 trading assets, but this number will eventually grow. Unique and customizable trading platform along with very low minimum deposit, FREE demo-account with 10,000 virtual monies, 24/7 customer support, hassle free deposit/withdraw methods – all this makes OlympTrade a very strong broker in such competitive market! Try trading with OlympTrade and you won’t regret it! Binary Options is a simple financial instrument to earn money, where the first deposit is as low as £10. The best UK brokers are brought to you by MrBinary - expert in Binary Options industry with 3 years of experience. Binary Options makes you rich not only by earning money, but also by buying shares of Apple, Google and other big companies stocks. To be a PRO at Binary Options you don't need to be a financial geek. Binary Options trading involves high risks which may not be suitable for every person. Never invest money which you can’t afford to lose and make sure you familiarise yourself with the basics of binary options before you start. MrBinary.co.uk is not responsible for any losses, as all our pages should be used for informational purposes only.